KandyPens has recently come out with 2 new vape pens for wax. The 2 new models are called the KandyPens Prism and the KandyPens Prism Plus. Both are designed to work with essential oils and are both offered at competitive prices. In this review we will take a closer look at both of these models and see which one is the better overall deal and which one might be best for you specifically. The KandyPens Prism is a newly released wax/oil vaporizer. This Prism is the smaller of the two new models, the larger being the Prism Plus which we review below. The Prism is a strong competitor in the best vaporizers﻿ under 100 category. The overall build quality of the KandyPens Prism and Prism Plus are both made with high quality components. The fact that these 2 devices are priced around the $100 mark makes them a pretty good deal. The housing of the Prism is made using medical grade electro plated stainless steel - comes in both white and black. The package comes with 2 heating chambers, one all ceramic and the other is quarts and titanium. The Prism has a average size battery of 320 mAh while the Prism Plus has a more powerful 900 mAh battery. Depending on your lifestyle will likely determine which model you get - either a quicker charging model or a longer lasting model. The mouthpiece is made from glass and no glues wicks or dyes were used to make or exist in either of these 2 vape pens. The package comes with 2 mouthpieces. If you get the Prism you will get a lightning charger (similar to an iPhone 5 or higher charger). The package comes with a dab tool, a cap for the top, and also a velvet protective pouch. The Kandy Pens Prism and Prism Plus both come with a lifetime warranty for the battery. The Prism models were developed and designed in the US. The Prism comes with two different heating chambers which both are designed to deliver a different vapor experience. The dual quarts rods with titanium coils are meant for bigger rips and heat you material up at a faster speed and deliver bigger vapor clouds. The all ceramic heating chamber is designed to work a bit slower and delivers a more flavorful draw. If you are looking for more flavor I would stay on the lower 2 pre-set temperatures, and if looking for quicker draws and more vapor go with the higher two. The 4 temperatures are as follows: 320°, 350°, 390°, 430°. 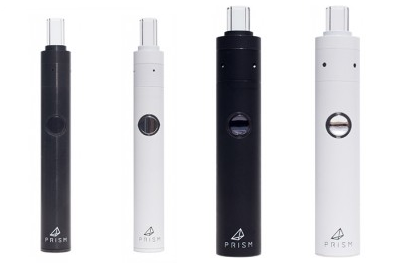 The Prism has an ok battery and one that you typically find in the lower end vape pens. The battery used is a 350mAh sub ohm battery. The Prism Plus is the unit that has a larger more powerful battery. The Prism is a very easy to use wax vaporizer pen. You turn the device on by pressing the power button 5 times. You are able to change the temperature by pressing the same button 2 times. The 4 temperatures are noted by the color of the LED light around the button - Yellow 320°F, Green 350°F, Red 390°F, and Blue 430°F. It is recommended to fully charge the Prism before first use and to also run it through the highest temperature setting before your first use. This will just burn away any unwanted materials that may have found there way into either of the heating chambers. Both the Prism and the Prism Plus have pass through charging so they can be used when plugged in. When you load your essential oil into the vaporizer and your ready t use it you simply hold down the power button and it heats up instantly. You can than take slow draws and enjoy. The KandyPens Prism Plus is the larger more powerful version of the Prism wax/oil vape pen. If you are looking for a more portable vape pen that lasts longer and packs a bigger punch this one will be for you. Overall build quality of the Prism Plus is identical to the Prism. Please refer to the section above if you have not read it already regarding build quality of the KandyPens Prism vape pens. The KandyPens Prism Plus also comes with two heating chambers similar to the Prism. The same principles apply and you are able to use the all ceramic heating chamber for more flavorful hits while the dual quarts rod titanium coil heating chamber is designed for quicker larger hits. The Prism Plus is powered by a powerful 900 mAh sub-Ohm battery. This battery will get you quite a bit more use in between charges. The downfalls of this larger battery is that it takes longer to charge and that it requires the overall size of the device to be larger. I personally think the larger one is still a good size and compact enough to fit easily into a pocket or carrying bag. The KandyPens Prism Plus works similar to the Prism. They both use the simple one button design. The difference in the units is how they charge. The Prism Plus only has a micro USB slot located on the side of the unit, while the Prism has both a micro USB slot and a lightning USB charging slot. So after having a look at both the KandyPens Prism and the KandyPens Prism Plus we can see that there are 4 main differences. 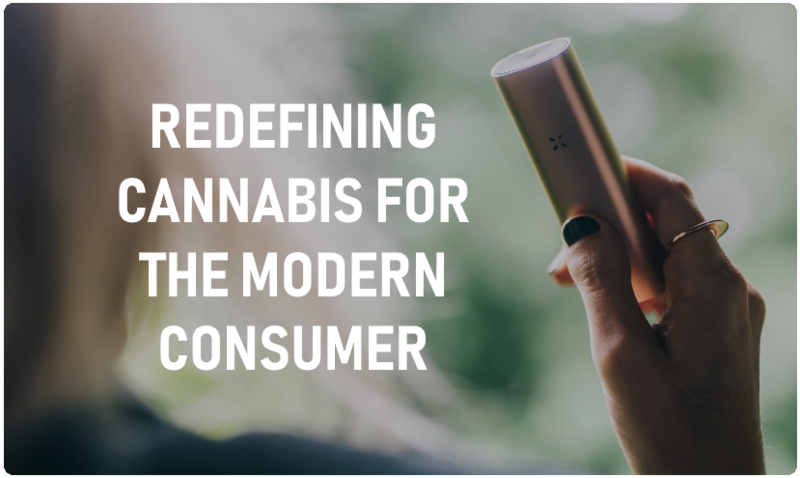 The Prism Plus is a larger device than the Prism and also has a powerful battery that will last longer in between charges. The Prism Plus has the LED lights on the side where as the Prism does not. Lastly the Prism Plus does not have the lightning charger that the Prism has located on the bottom of the pen. So the smaller model has quick charging but does not last as long and is a bit less powerful. Choosing which one is best will depend on your need for portability vs quick charging. If you will be needing your device away from power for longer periods of time than the Prism Plus is your best bet. The best place to buy is either from an authorized drop ship dealer such as Vape-Smart here.